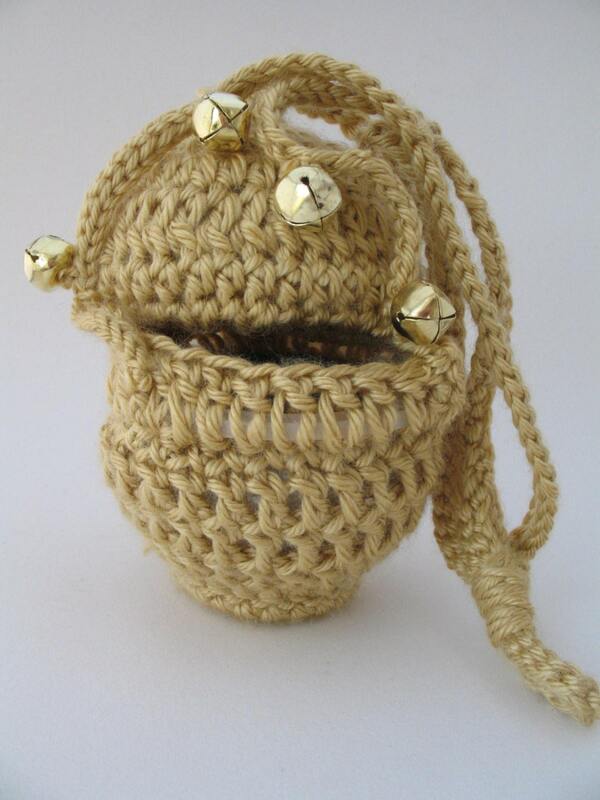 Here is the pattern for the toy censer you have all been waiting for! There are full instructions and a grand total of 28 color photographs to make the construction process as easy to understand as possible. Gold-colored yarn is crocheted around foam hemispheres to hold the shape. The "chains" come together at the top to form a loop convenient for hanging. Six bells are stitched in place at regular intervals. The censer is constructed such that a one-inch space exists between the top and bottom halves. This allows a "charcoal" to be inserted or removed. Finished product dimensions: 13 inches fully-extended, 3 1/2 inches across at widest point. As soon as you complete the purchase you can download the pattern in PDF form. **Note: Purchasers of this pattern may use it for personal use or for gift-giving, but may not resell this pattern or sell items made from this pattern. By purchasing this pattern you are agreeing to these terms and conditions. I loved this pattern. It’s very easy to work up and the finished product looks great and realistic. My 3 year old loves that he can incense our prayer table, the model altar at Atrium, and his little sister at home and has enjoyed playing Liturgy with it.